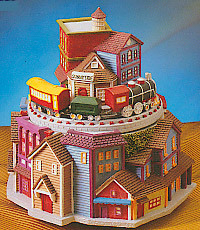 This Train Station Motion Musical features the tune "King of the Road". There are multiple moving parts while the tune is playing. Standing at 5" tall, this makes a perfect gift.